Walter McGowan, one of the most accomplished and popular Scottish boxers of all time, has died at the age of 73. The former British, European and World flyweight champion, who had been ill for several years, passed away in a nursing home in his native Lanarkshire. A brilliant amateur, McGowan was one of the most recognisable names in British sport during the 1960s. He was crowned ABA flyweight champion in 1961 at the age of 19, capturing the imagination of the boxing and wider sporting public with his stylish success in a tournament televised live by the BBC at the time. He turned professional the same year and by the time of his 10th paid contest two years later was British and Commonwealth champion after a knockout victory against Jackie Brown at Paisley Ice Rink. In 1964, McGowan travelled to Rome to challenge Salvatore Burunni for the European title but lost on a controversial points decision to the Italian. But revenge was sweet for McGowan when he faced Burunni again at Wembley in 1966, this time for the WBC world title. 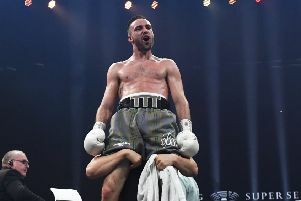 The Scot produced a brilliant and brave display, overcoming cuts to defeat Burunni over 15 epic rounds. He also became the linear flyweight world champion, recognised by Ring magazine. McGowan received an MBE the same year. He lost the world title to Chartchai Chionoi in Bangkok, the fight stopped in the ninth round due to a recurring problem of cuts for McGowan. He secured a rematch with Chionoi at Wembley in 1967, with cuts again forcing a stoppage win in the Thai boxer’s favour. McGowan retired in 1969 with a professional record of 32 wins from his 40 contests and with a place among the pantheon of Scotland’s greatest boxers secure.